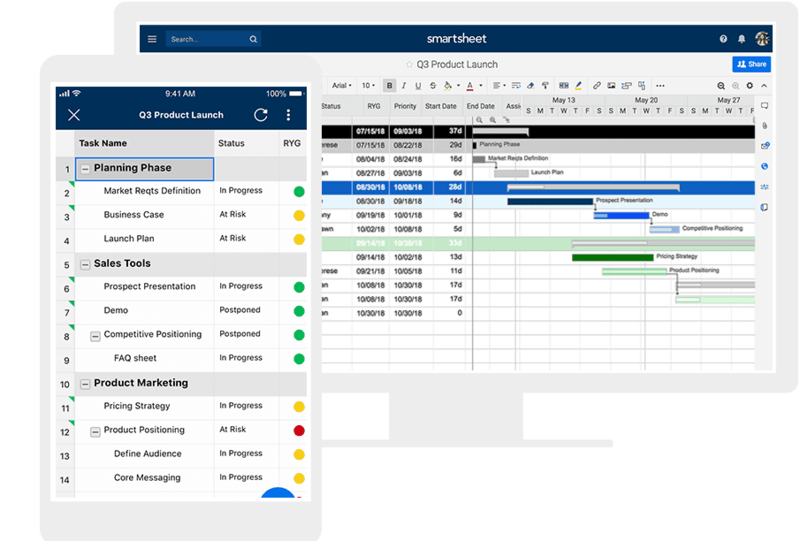 Unlock the power of the right PM methodology with Smartsheet. Choosing the right project management methodology is critical to your team’s ability to successfully deliver projects on time and on budget. From Waterfall, to Agile, to Kanban, there are a wide range of project management methodologies and practices that can be leveraged to maximize success. In this complete overview of project management methodologies, discover the steps involved in choosing the right PM method based on your project needs, as well as the benefits you will reap as a result. Find lists of project management software included in each PM methodology, and the advantages in implementing them to manage your projects, organize times, and establish goals. There are some key benefits in choosing an organizational project management method. One is that it provides a consistent guideline for your team to easily establish and handle the critical factors involved in projects including resources, budget, team members, timeline, and stakeholders. Although there is no perfect way to manage a project, by assessing the type of projects that you manage, along with the key components involved, you can choose an efficient methodology that will cater to the needs of your project. It can be overwhelming to choose one “perfect” approach when there are so many options out there. Keeping in mind your specific project and its target goals will lead to an organized method of project management unique to your process. Additionally, based on the strength and weaknesses of different methods, some organizations may select multiple project management types to meet the requirements of different projects. Establish the variables that will drive the project and weigh those against the overall goals of the project. Determine the criteria that the methodology will impact. Assess all possible methodologies and decide which methods are most relevant to your project. Analyze each potential methodology by weighing the pros and cons of each against your project. Examine which methodology will bring the most success and efficiency to your project, and conversely, which methodology will bring the most risk. Collaborate with other team members to weigh the decision. Document the chosen methodology to be implemented. Apply the methodology to the project and monitor it for progress and success. Kanban Boards: A Kanban board is a workflow visualization tool that helps teams optimize the flow of work and physically see the way work is progressing. A Kanban board can communicate status updates, progress reports, and project issues, offering full visibility over a project. This board is paired with the Kanban methodology, which focuses on constant production and delivery over a more fluid timeline. They are also useful in Lean to allocate tasks and maintain resource management. Below you'll see an example of a Kanban board. 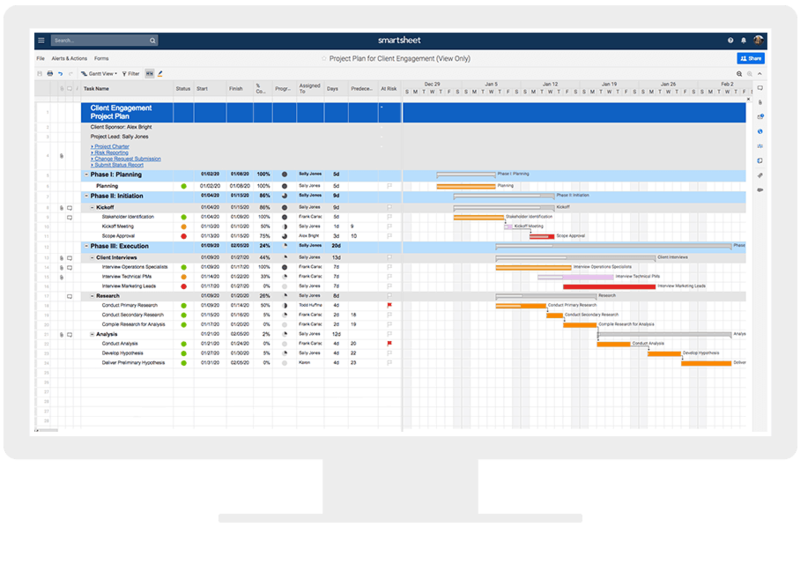 Calendars: With calendars you can show a comprehensive view of the project timeline and all of its expected dates of completion, giving full visibility to customers, stakeholders, and team members. This view is important for methodologies with very involved customers or cross-functional team members, like XPM and Scrum. Mobile Accessibility: The ability for both team members and customers to view tasks, project progress, and any changes to the timeline in real-time on their mobile device is key to running successful projects. This functionality is most helpful when the project management method is fluid, has many moving parts with dependencies, or when the customer is unsure of the exact product at the start of production, like Agile. Cross-Project Summary Views: A cross-project view gives all teams and departments involved with production full insight into the continuous development process. This feature enables real-time status reports, checkpoint roll-up details, and dashboards that give teams and customer progress updates throughout the process. This feature is best used in conjunction with methodologies that require constant updates due to a fluid structure, like XPM and Scrum, but really is helpful for all project management methodologies.